Mobility is the norm in today’s digital age and customers expect options when seeking information, service and support from an organization. They want assistance no matter how, when or from where they choose to make contact. They also expect immediate and consistent quality of service across each communication channel. Technology never stands still, so what was innovative in customer service last year is likely to be surpassed by new tech this year. Across all the technologies that enable multichannel customer service, the crucial point is to offer customers choice and consistency. To offer choice, you should provide multiple ways for customers to make contact – by phone, sms, email, apps, live chat, social media and website self-service options. To offer consistency, these channels need to be integrated to provide the same customer experience no matter which channel they use. 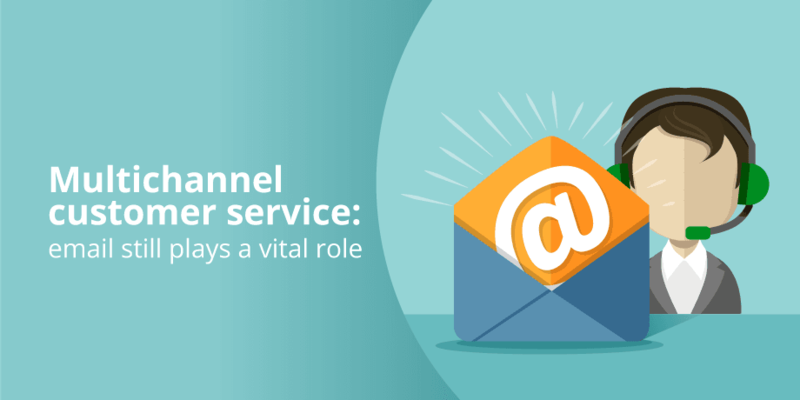 Why so many customer service channels? A key benefit of enabling customer engagement across many channels is that it gives you the option to redirect expensive one-to-one contacts to more cost effective self-service options. This will reduce the volume of interactions through the most costly channel, namely voice. Another benefit is the innovative sales opportunities that present themselves across the variety of channels. It makes your brand and products more accessible, offers a chance to build better relationships which ultimately leads to better loyalty and further revenue opportunities. “Out with the old – in with new”? Maybe not. In the age of emerging digital support channels, newer channels may augment, but not necessarily replace the traditional channels. Even as brands and customers adopt emerging service delivery technologies, research shows that email and phone still claim the bulk of today’s requests for assistance. In a 2014 report entitled What contact centers are doing right now, approximately 500 contact center professionals (55% of which were located in the UK) took part in a survey to establish the most popular customer service channels by traffic. 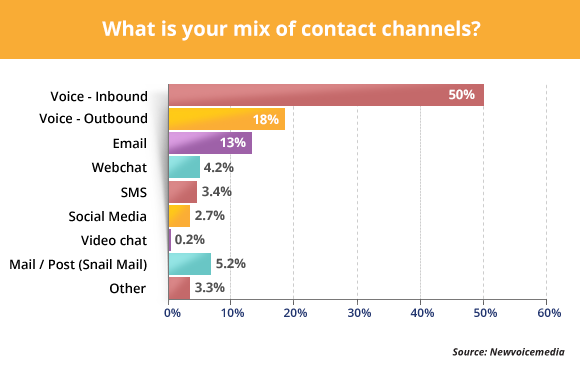 Voice interaction still accounts for 68% of traffic in the surveyed contact centers, with email in second place at 13%. Not losing focus on the high performance, traditional channels in favour of the newer, more ‘hip’ channels. While it is important to offer as many ways for your customers to get hold of your organization as you are able, remember to keep enhancing the tried and tested channels that remain the high performers of customer engagement. Conclusion: Email still plays a vital role in customer service and communications.